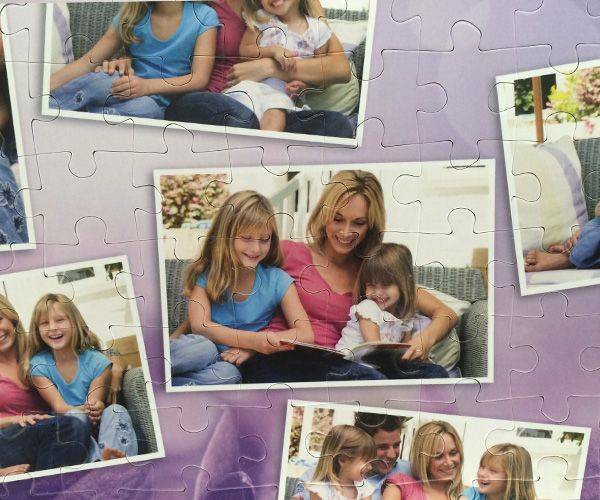 108 piece photo collage jigsaw puzzle personalised by you will be ideal gift! Surprise you friend, colleague or family with a personalised 108 photo collage jigsaw puzzle! 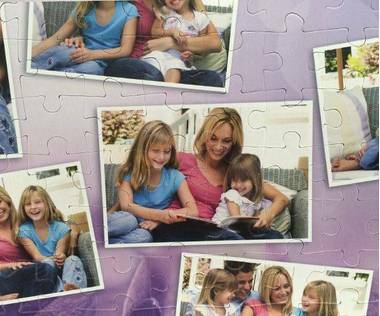 We offer you to pick a template with a background, upload photos of your choice to create a 108 piece photo collage jigsaw puzzle! 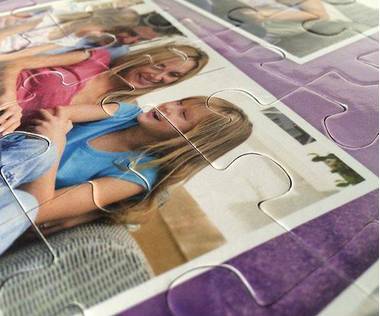 Photo collage jigsaw is the most personal gift that you can make, it will be truly treasured by the receiver! What do you normally do with a jigsaw once it has been completed? It is likely that it is packed away and forgotten about or at best brought out every few months. Now you can have a 108 piece collage photo jigsaw puzzle that will be much more popular. 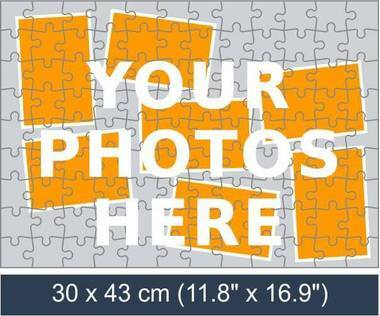 Seven pictures can be used and they will appear before your eyes as you complete the puzzle. Measuring 9.9” x 13.4” once 108 piece photo collage puzzle is put together, you will be able to find a second use for it with ease. 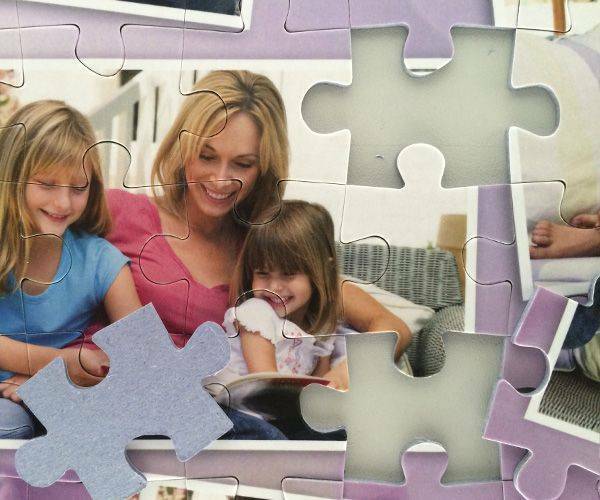 Photo-frames tend to hold a few pictures, but can become dated and this is not going to happen to the jigsaw. Anyone will be happy to put 7 of their favourite photographs on the wall and it will certainly be a talking piece. The manufacturers use such good tools that the pieces are a perfect size and manage to cut the pieces to exactly the same size and with such precision that they stay in place once put into the jigsaw. Each of the 1.3” x 1.42” pieces will be a great size for the child that receives the gift and in this piece number category; they will normally be 6 years of age and upwards. Allow around 8 or 9 days for delivery and be careful when putting the pictures on as the company will not change what you select. This is comforting when you get it right, but it has to be emphasised that it is your responsibility. 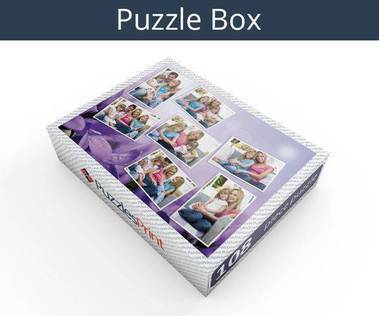 Within a day or two of placing the order, the puzzle will have been made so any corrections that are required need to be flagged up right away or it will be too late.